The Gypsy's Guide: I'm on Maternity Leave! 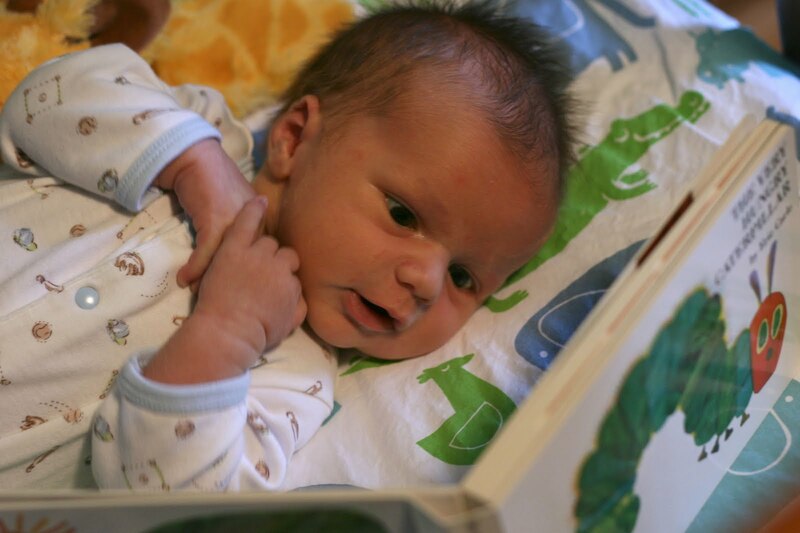 We are working on that love of reading right from the start! Next up: teaching him how to properly pack a suitcase. glad you're taking time away. kids are the most important! Congratulations. He's a real cutie. Molto bellow bambino! And I do not swear to the proper Italian, but I hope it's close. Congratulations. He handsome, can I hold him?!!!!!! Are you planning any travels with him as he grows older? If so, I look forward to reading about them! Your son is going to be a bibliophile, that's for sure!! Congratulations! Good luck on teaching him the packing thing. I still can't master it myself! Many beautiful details inside, certainly worth a visit! Thanks for sharing.